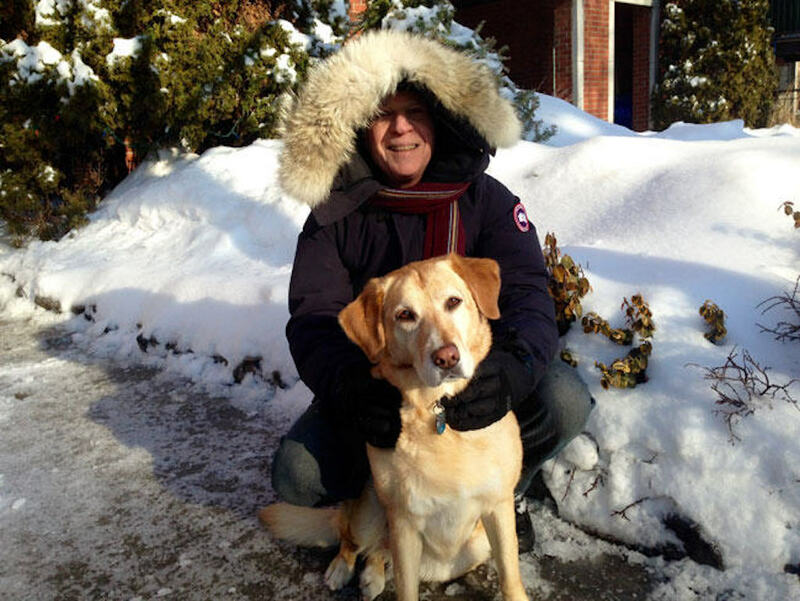 Alan Herscovici sports a coyote-lined parka from Canada Goose, accompanied by Maggie, in Montreal, 2016. Alan is the founder and senior researcher of Truth About Fur. This photo is featured in Alan's blog post 5 reasons why PETA won't make me ditch my Canada Goose, February 19, 2016.